Exercise is medicine when prescribed to cancer patients in conjunction with their routine treatment. There are now further calls for exercise to be provided to those living with cancer and to be prescribed by Accredited Exercise Physiologists, the expert specialists of cancer and exercise. Following the Clinical Oncology Society of Australia (COSA) “world-first” position statement in 2018, a team of exercise oncology experts from around Australia have launched a consensus statement on the role of Accredited Exercise Physiologists in the treatment of cancer. People with cancer who exercise regularly experience fewer and less severe treatment related side effects as well as improved quality of life. Research suggests exercise helps lower the relative risk of cancer recurrence and lowers the relative risk of dying from any cause. “Last year, COSA underlined the importance of exercise as an integral component in cancer treatment and this consensus statement elaborates on how to deliver it. 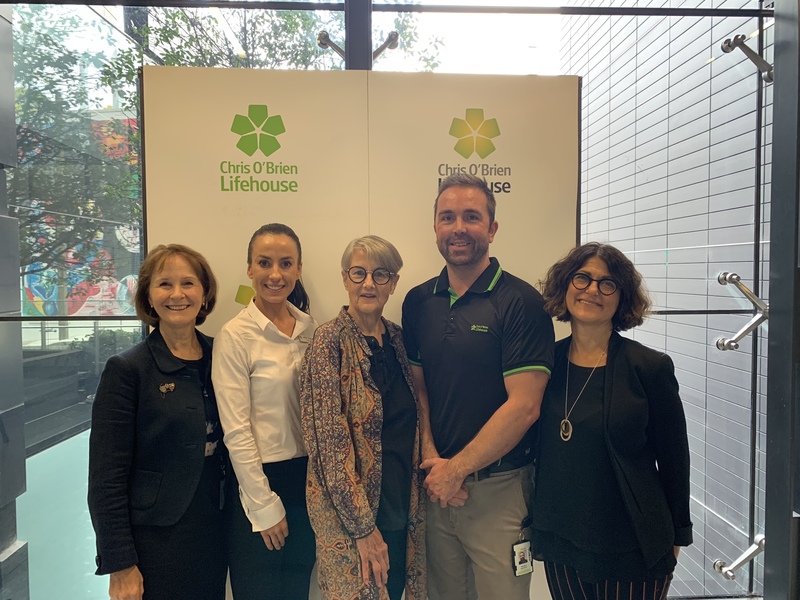 AEPs have a deep understanding of cancer pathology and treatment and are highly trained to deliver safe, individualised exercise programs, resulting in improved quality of life for cancer patients,” explained Michael Marthick, Exercise Physiologist at Chris O’Brien Lifehouse. “Exercise significantly reduced the effects of the operation to remove the cancer in my uterus and is helping me cope with the effects of radiation. Even when I’m tired and not feeling well, I have learned that after exercise, I will feel better. Always,” said Gail Nason, patient at Chris O’Brien Lifehouse. Access to the full consensus statement, including authors and scientific references, is available on the ESSA website. To make an appointment with an Exercise Physiologist at Lifehouse, contact the LivingRoom on 8514 0038 or LivingRoom@lh.org.au.